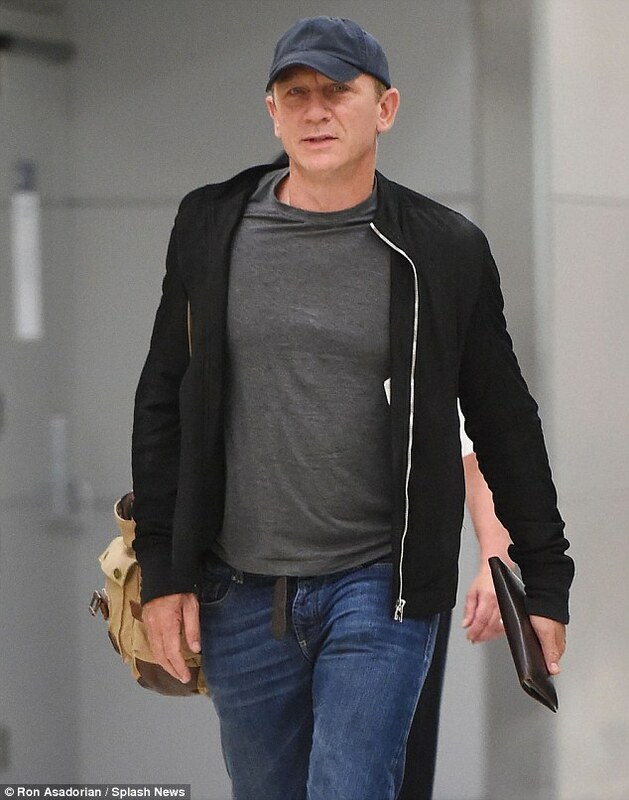 “SPECTRE” (2015) star Daniel Craig had a black, zip-up jacket and stonewash, rolled-up jeans, along with a black canvas belt, accessorising with sand, lace-up desert boots and a navy baseball cap. To celebrate the release of the latest James Bond film “SPECTRE“, all six James Bonds will stand side-by-side in London for the first time. See more here.